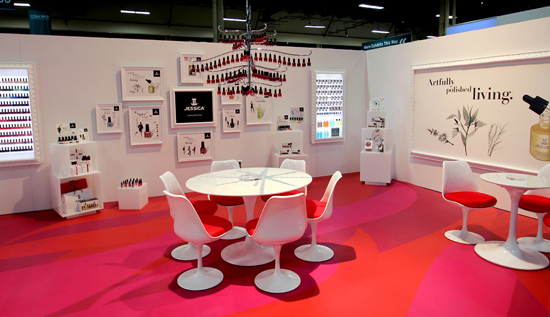 Known as the “First Lady of Nails,” Jessica Vartoughian has held a position of respect and even star quality in Europe for more than 30 years. 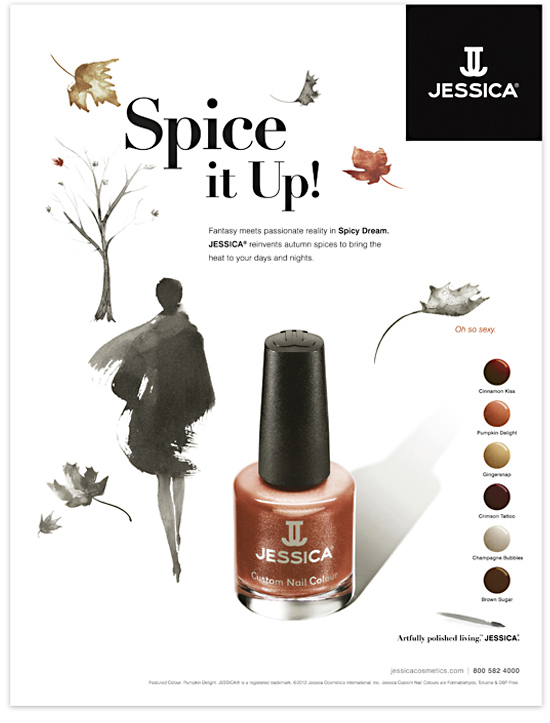 When approached by JESSICA Cosmetics for their Global Rebranding, we decided that the company needed to be brought back full circle to its European roots. 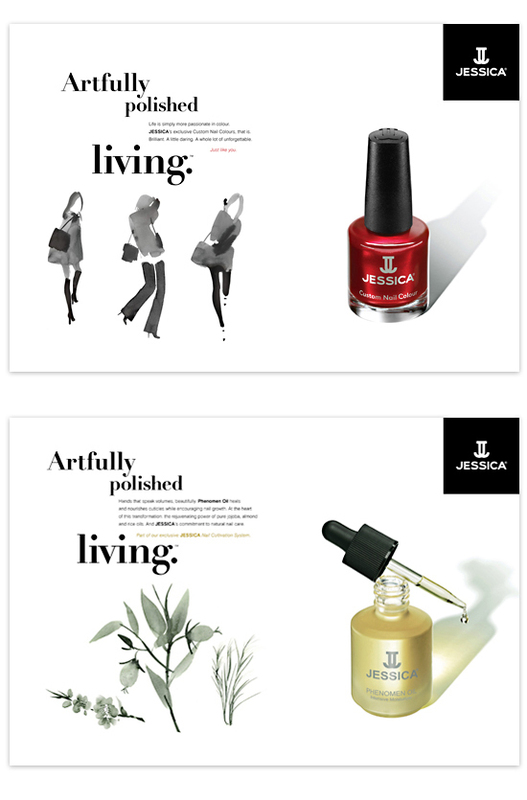 The campaign, Artfully Polished Living was born: an illustrative, timeless, euro-chic approach, featuring watercolor paintings by Parisian artist Aurore de La Morinerie. 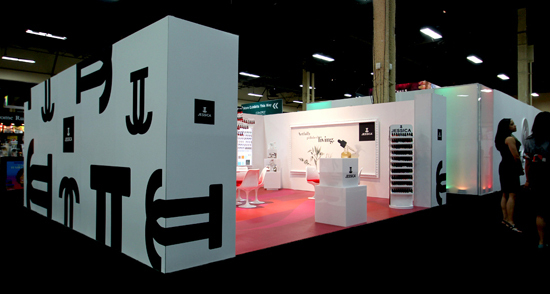 Bringing the campaign to life, we created show-stopping, environmental graphics for JESSICA’s 2012 Cosmoprof Trade Show Exhibit in Las Vegas… next stop Bologna, Italy.